Posted in Collaboration, Research News on July 8, 2015 by Susan Cobb. 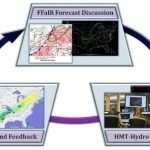 During July, NOAA National Weather Service forecasters from forecast offices and river forecast centers will assess emerging hydrometeorological concepts and products in the Multi-Radar / Multi-Sensor (MRMS) Hydro Experiment 2015. 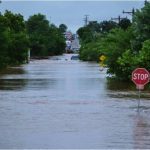 Their goal is to improve the accuracy, timing, and specificity of flash flood watches and warnings. MRMS-Hydro is led by NSSL and is part of the 2015 United States Weather Research Program (USWRP) Hydrometeorological Testbed (HMT). Operational activities will take place Monday through Friday for three weeks (July 6 to 24). 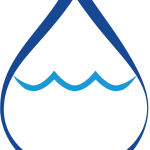 During the experiment, participating forecasters will evaluate short-term predictive tools derived from MRMS quantitative precipitation estimates (QPE) and Flooded Locations and Simulated Hydrographs (FLASH) hydrologic modeling framework. Forecasters will also explore the utility of experimental watch and warning products conveying uncertainty and magnitude issued through the Hazard Services software from the Earth Systems Research Lab/Global Systems Division (GSD). Research scientists will investigate human factors to determine operationally relevant best practices for the warning decision making process and the system usability of the Hazard Services platform. HMT-Hydro will coordinate operations with the third annual Flash Flood and Intense Rainfall experiment (FFaIR) at the NOAA/NWS Weather Prediction Center (WPC) to simulate the collaboration that occurs between the National Weather Service’s national centers, river forecast centers, and local forecast offices during flash flood events. HMT-Hydro and FFaIR will simulate the real-time workflow from WPC 6-24 hour forecast and guidance products to experimental flash flood watches and warnings issued in the 0-6 hour period. The HMT-hydro team will shift its area of responsibility on a daily basis to where heavy precipitation events and associated flash flooding is anticipated. Researchers will collect feedback from NWS operational forecasters through comments during their shifts, electronic surveys, de-briefings, and a webinar at the end of each week. 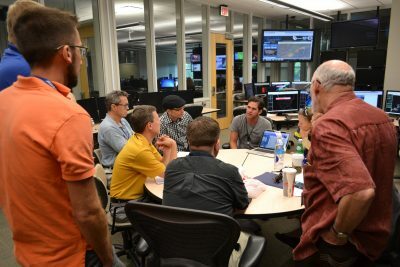 NWS feedback is critical for future development and eventual implementation of new applications, displays, and product concepts into AWIPS2 and other operational systems. 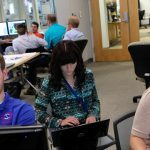 HMT-Hydro 2015 provides a real-time environment to rapidly test the latest observational and modeling capabilities so they may be improved and optimized for transition to operational decision-making in the National Weather Service to support a Weather-Ready Nation.